Armando, in your most recent Letter to the Editor you state that, “I surprised you with the tone of my response” to your letter dated 8/24. You accused me of “attacking you because of your membership in a local nonprofit civic association.” That “civic association” (Village Laguna) happens to be a political action committee of which you’re a board member. Both of your letters addressed my candidacy therefore it’s only fair that I referenced your affiliation with politically active groups in my responses. In your letter you “analyze” my response and then attempt to discredit my character as a result of my solution regarding solving Laguna’s crime problem. A direct result of our transient community, which I consider a serious and existential problem. You state, “He is obviously emotionally committed to a purely palpable police only response to the homeless issue.” You’re correct! I believe that aggressive policing and strict ordinances are necessary to protect the safety and well being of our residents. A palpable police presence will deter the criminal transients from committing crimes against the residents and visitors of Laguna. Sorry if that triggers your sensitivities for these vagabonds who are roaming the streets of Laguna, breaking into our homes and cars, openly administering dangerous drugs, masturbating, defecating, urinating and vandalizing our property. A scroll down to this or any issue of the Stu News crime blog will confirm an exponential rise in low-level crime since 2009 when we opened the ASL. Armando, for the record, I am compassionate towards homeless people and am eager to provide assistance to anyone who requires and requests it. You and the homeless advocates in town are desperately trying to paint me as uncaring towards homeless people. Your assertions are based on falsehoods and are politically motivated. No resident who knows me or has taken the time to speak with me regarding my solutions to this issue would agree with you. This is a blatant attempt to discredit me in order to further your failed homeless agenda. You continue: “He uses a crystal ball or psychic hotline to guess what people who do not agree with him are thinking.” Actually, in your case, I didn’t need either. I used Google to find other Letters to the Editor you’d written throughout the years. Your own writings took the guesswork out of my equation. I read through all of your politically charged commentary. Your letters revealed a passive-aggressive approach, luring your opponents into debate and then attacking them when they respond unfavorably to your agenda. 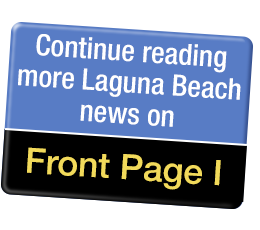 You state: “He uses fear of the unknown rather than logic to debate civic issues.” Armando, you and Village Laguna have mastered “using fear of the unknown” to discredit any ideas that go against your stance on issues facing Laguna. Now you’re attempting to use it against my candidacy in the hopes that one of your endorsed candidates will prevail. Please stop acting like you’re just a concerned-citizen. You’re not fooling anyone! Especially 100 days before an election. You end your letter by stating: “So, to earn a seat on the council, one must be fair, honest, open to all residents and respectful of all points of view. Imagine what someone who is none of these things would do on our council. The ideal candidate should be measured for a civic leadership position by the way he treats his fellow citizens and the level of respect he shows different points of view.” Armando, I am fair, honest and open to all residents and respectful of all points of view. I will however not allow political activists like yourself and Village Laguna to bully me and influence my decisions. I will represent the silent majority in town who are sick and tired of being ignored. Once elected, I will see to it that the residents of Laguna will no longer be at the mercy of Village Laguna’s cronies on City Council, Design Review Board, Historical, Planning Commission and behind the counters at City Hall. Armando, I love Laguna and will serve its residents passionately. If you’re concerned with the “tone” of my responses then you’d better prepare yourself for even more rigorous discourse in the future. I will continue to defend myself and my constituents without concern for what you consider unstatesmanlike. I’m not swayed by your comments and unlike you, I’m beholden to no political entities!